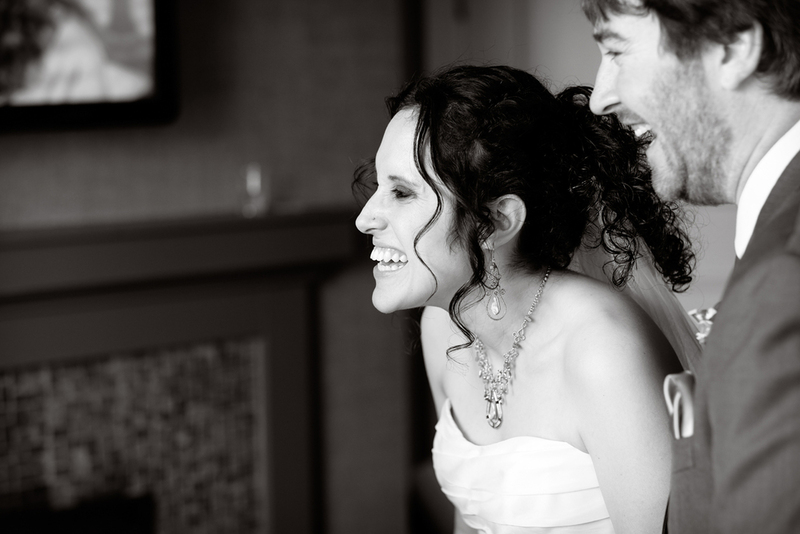 Natalia and James tied the knot on a crisp April day with JEN as their planner. 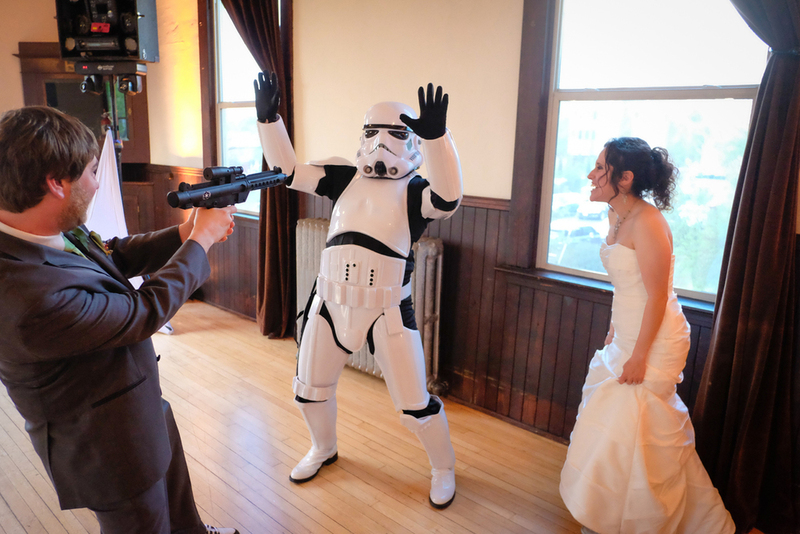 Although all of our weddings are memorable and unique, this one was extra special. Natalia has been a lead coordinator with BRIDAL BLISS for several years, so it was even more meaningful to be a part of her big day! 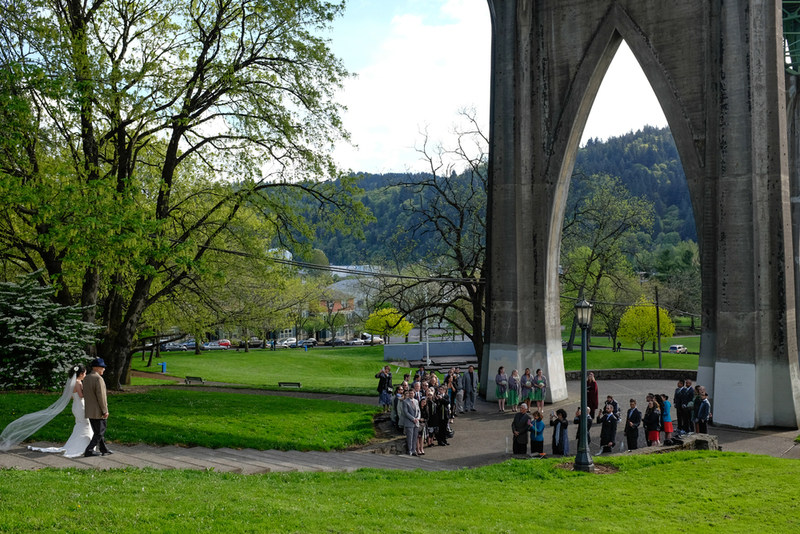 The simple, yet gorgeous, spring wedding ceremony was held at Cathedral Park and officiated by LESLIE SHARP. Framed by the stunning underside of the St Johns Bridge, friends and family surrounded the couple as they exchanged vows. They even had a special guest included in the ceremony– their sweet Boxer puppy, Hendrix. Photographer and friend, DAVE RUSSELL, from their hometown of Denver, captured the magical day perfectly. He was even able to snag a couple photos of the Natalia and James standing in the middle of the St Johns Bridge! Immediately following the ceremony, Natalia and James were ready to celebrate with all of their guests at their reception venue, Village Ballroom at the OREGON PUBLIC HOUSE. Natalia and James chose this venue because it combines two things they are passionate about; charity and beer. Oregon Public House is the world’s first non-profit pub with 100% of its’ net profit going to various charities. Every single detail of this wedding was unique and meaningful to the couple. CRAVE DESIGN created paper products featuring legos…a mutual hobby of the couple. All the floral, including the custom made Lego boutonnieres that matched each groomsman’s personality, were provided by one of our other Bridal Bliss coordinators, CARRIE. As implied by their wedding hashtag, #partyoftheyear411, James & Natalia’s wedding reception was definitely a night to remember. They had everything from salsa dancing taught by the father of the bride, Javier, to delicious food provided by ATE-OH-ATE and TAMALE BOY. There was even a surprise appearance made by a Storm Trooper, thanks to DJ CHAD DOWLING, who kept the party going all night with tunes from the 90s.